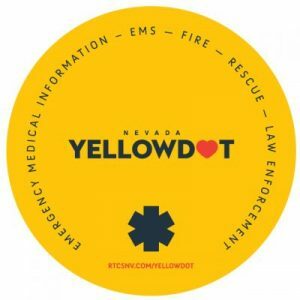 The Yellow Dot Program is now available in Nevada. This program provides first responders with important information in case of an auto accident. A yellow dot is placed in the rear left window of the vehicle. This alerts first responders that important medical information is located in the glove box. Las Vegas ranks 29th in the nation by population, and just below that in dog bite attacks to postal workers, according to statistics from the U.S. Postal Service, which unsurprisingly keeps some of the best statistics for dog bite attacks around the nation. Recent years have seen an increase in dog bite attacks on mail carriers, and if all attacks on postal workers in North Las Vegas and Henderson are included, the number of attacks per year approaches thirty. About 1 in 3 attacks on postal workers are serious enough to require time off of work, according to OSHA data.